Creating a Fun-Filled Panem, in Dubai? There were lots of funny pranks pulled throughout the fandom last week in celebration of April Fools, however there was one legit piece of news that was real, but it ALMOST sounded like a joke. The Hunger Games Theme Park Attraction – It’s happening. In Dubai. When the news came out on March 31, we knew it wasn’t a joke, because Lionsgate executives have said on multiple occasions that they were exploring opportunities to add the Hunger Games as a theme park attraction. It will be a part of a larger Hollywood theme park, Motiongate Dubai. According to the press release, it will “feature state-of-the-art theme park attractions and a retail facility inspired by … The Hunger Games franchise.” Not much in the way of details beyond that were released, other than it would be located in Dubai and another Lionsgate movie property, Step Up, will also be a part of the attractions when it opens in October 2016. We’ve been very wary of this theme park idea all along and nothing about the announcement has changed our perspective on it. The Hunger Games costume exhibitions and the upcoming touring Exhibition starting this summer in New York have focused on showing how the books have been turned into movies. They’re basically extensions of the behind the scenes goodies of a Blu-ray, and we like that. The word “theme park attraction” invites broader world-building that could be problematic if not handled with care. So what are they going to do? Will this be some amped up version of the Samsung-sponsored Comic Con event last year, complete with Capitol Gallery and a Capitolized Peeta’s Bakery? District 12 themed rides? An arena????? Ok, we need to stop thinking of the possibilities cause this is just getting dark and we’re probably just thinking of the worst possible scenarios. After all, remember this passage from The Hunger Games when Katniss is about to enter the arena? They wouldn’t do that, right? No. No, they couldn’t. THEY WOULD NOT DO THAT. True, these books/movies are just stories, so if they created an arena attraction no one would have truly died there. But it would definitely be creepy and way too “Capitol” for us to fathom. Even if they don’t make the “attraction” an arena, placed in the context of the super-wealth of Dubai, there’s a lot of ways for this to be way too Capitol for our tastes. But then again, us three American women of Victor’s Village are clearly not the intended visitors for this attraction. 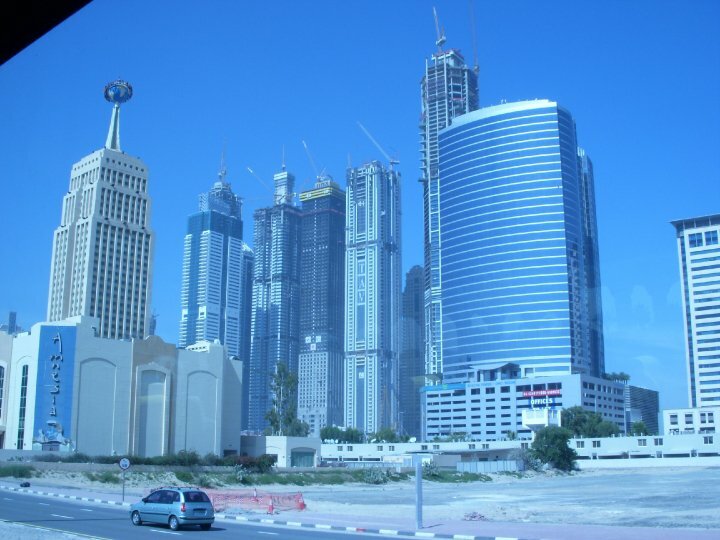 I spent a week in Dubai in 2011, and while it was a fascinating experience, I’m certainly not taking that long of a journey again simply to go to a theme park when there are plenty of other places still to visit in the big, beautiful world. The Hunger Games attractions will draw in people who live closer to the geographic area, people who were planning to visit Dubai anyway for the larger theme park experience, or people visiting to gawk at the fabulous buildings and ski slope inside a mall. We just hope they keep the story’s themes top of mind when putting this all together, otherwise it’s going to be really awkward and gross. We really don’t want this to get awkward and gross. I wonder what Suzanne Collins thinks about this… The irony! Even in the event that they make the theme park, you’d expect it to be in someplace like Anaheim, not an autocratic nation that’s as out of the way and exclusive as possible… Not to mention treating their non-citizen workers in a way that would make turn-of-century industrialists blanch. There’s a certain point at which things go from frustrating to farcical. LG crashed through that point in a leaded-fuel-powered monster truck while cracking up the death metal and flipping us the bird.